Our new freediving facility is here! Besides snorkeling and diving, freediving is a new and exciting addition to our dive center. Our freediving instructors (one of whom is current Indonesian National Record holder) take you through all the steps necessary to try freediving for yourself. At your own pace, just like our diving courses. For experienced freedivers there’s more than enough opportunity to enjoy the depths of the Bunaken National Marine park as well: just join on the dive boat and we’ll take care of the rest. Fun dives or courses? Or both? Freediving just because it’s fun is the best way to get close to the nature of the Bunaken National Marine Park, but if you want to familiarize yourself a bit more with the sport, our wide variety of courses and training sessions can help you reach greater depths. Stanley Sradaputta is the 2018 Asian Freediving Cup national record holder — freedive instructor Gisele Gao joins him running our freediving center. Get to know them over on our blog! From Constant Weight Apnea to Dynamic Apnea in the pool, we offer a large variety of different freediving disciplines. Our instructor Stanley is ready for anything. Just like the divers, freedivers enjoy the same comforts while visiting the dive sites: fresh fruit, water, tea and coffee on board the boats make each trip fun and super comfy. Monofins, large bi-fins, masks, snorkels, buoys and lines are available to make your freediving experience as complete as possible. 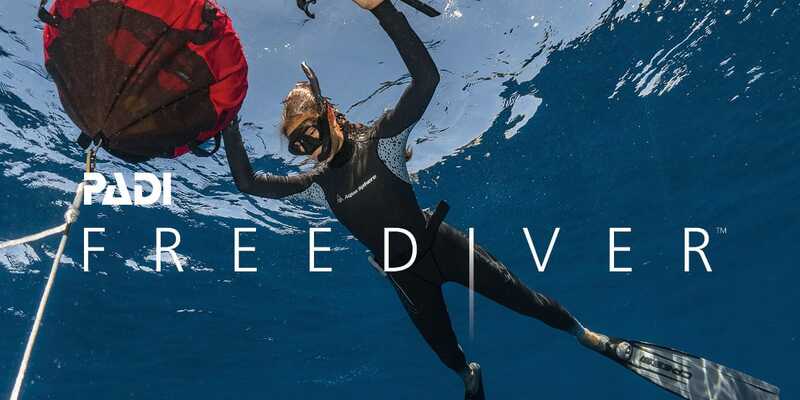 From an intimate classroom next to our camera room, theory is taught to both freediving beginners or freedivers who are looking to expand their skillsets. Together with our guide and his assistent, all of our freediving trips take place under the strictest measures of safety and professional guidance. Just like our PADI courses, the freediving courses take place at a velocity you are yourself comfortable with. We don't cut any corners!